Christ Community Church will be having several special Christmas Events during the month of December. Keep reading for more information. Join us for a time of caroling and fellowship! We meet at Christ Community Church on Friday, December 14th at 6:30pm and then head out to a local neighborhood to sing carols. Afterwards we will all gather at the church to enjoy a time of fellowship, hot chocolate and treats. Come and see the hard work of many in our congregation as they retell the story of Jesus! The movie will be showing on Saturday, December 15th at 6pm and Sunday, December 16th at 4pm. Check out the movie trailer below. Please plan to come and enjoy this time together. Christ Community Church will offer a medley of Christmas songs and a talk by Pastor Emmanuel Haqq during two candelight services on Monday, December 24th, at 5PM and 6:30PM. Childcare will be available for children 3 years and younger. 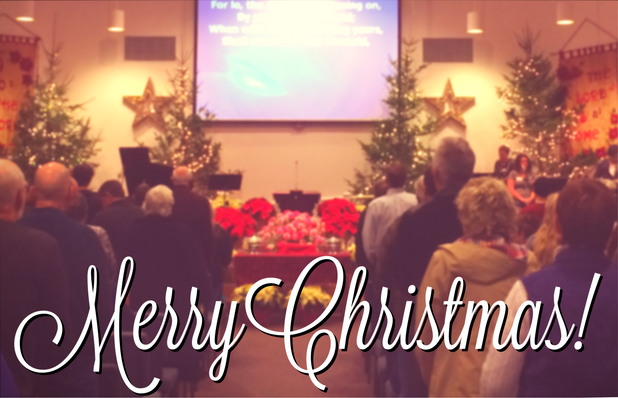 Special music will feature Christmas songs sung by some in our congregation as well as classic carols. The message will remind us of the great gift that God gave us on Christmas and allow us to focus on the realities of Christmas in the midst of the seasonal rush. Christ Community Church is located on Rt. 9 at 1255 Federal St. in Belchertown. For further information regarding these services please contact the church office or call 413-253-0292.